Clint Durdick was among the few people who braved the wintry weather Thursday afternoon in Craig. 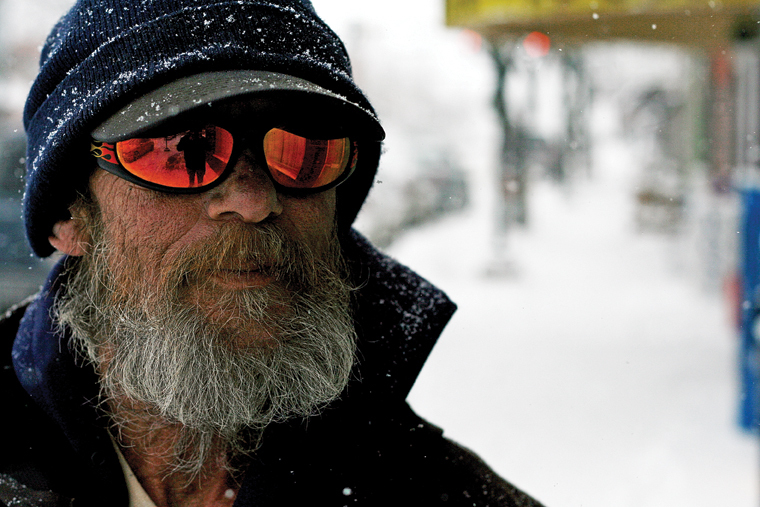 Durdick, who shovels sidewalks for work, said he didn’t mind the snow that fell steadily onto a nearly empty Yampa Avenue sidewalk. “It’s job security,” he said. If the National Weather Service is correct, Durdick’s business should remain steady for most of today. Craig could gain more snow before skies begin clearing, the Weather Service reported. However, after the snow rolls out, bitterly cold air is expected to roll in. Meteorologist Matt Aleska said temperatures in Craig and Moffat County will approach record lows tonight or early Saturday morning. Aleska, speaking from the National Weather Service in Grand Junction, said a low-pressure system is moving through Northwest Colorado and pulling in Artic air from over the Gulf of Alaska. “It’s going to get noticeably colder (today), with temperatures struggling to get above zero,” Aleska said. “The forecast low for the Craig area is about 20 (degrees below). Wind will compound matters, Aleska said. The National Weather Service predicts wind speeds of 5 to 10 miles per hour throughout today, which will create wind chill values ranging from 25 to 35 degrees below. “Even though the wind may be fairly light, the wind chill values are going to be pretty cold,” Aleska said. On the bright side, snow will be tapering off. Aleska said Craig could pick up 2 to 3 additional inches of snow by this morning, and another inch by afternoon. After that, Aleska said Craig will get a brief reprieve from snow. “The next system doesn’t look like it will affect our area until possibly Tuesday,” Aleska said. “So, from New Year’s Eve through the weekend and into early next week, temperatures will be very cold and clearing conditions. Due to the extremely low temperatures, The Memorial Hospital is advising residents to take precautions. “The cold weather we are expecting does present a challenge for the elderly,” TMH Chief of Operational Excellence Jennifer Riley said. “We encourage the elderly to stay indoors as much as possible during these very cold days.